New data from Vistage finds that the economic confidence of CEOs has fallen to the lowest level since the presidential election. Optimism about the economy dropped from 44 to 29 percent in the last quarter. Yet, the majority of CEOs are planning to increase their workforce. Attracting qualified talent is critical to the CEOs surveyed. If you’re among them, I urge you to attend the Evolution Leadership Conference on October 8. 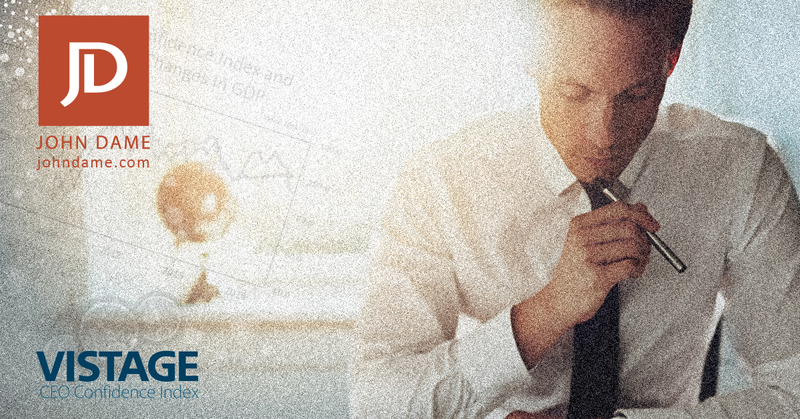 Click here to read Vistage’s Q1 2019 CEO Confidence Index.